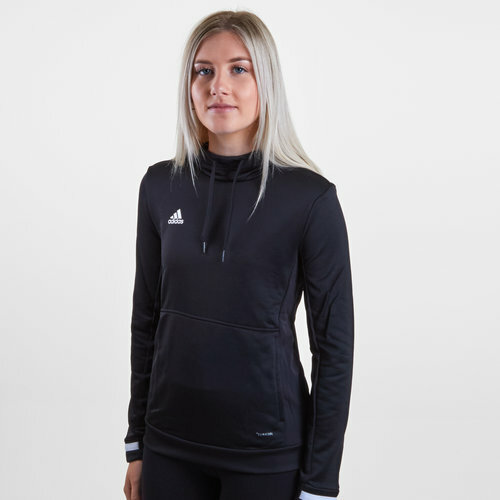 When the cold weather hits don't let anything put you off of your training when you wear this adidas Tiro 19 Ladies Hooded Sweat in Black and White. Train hard and stay warm doing it. This hooded sweat will keep you covered on cold days when on the court or pitch. Made with breathable insulation, this top has a resistant overlay o the front.